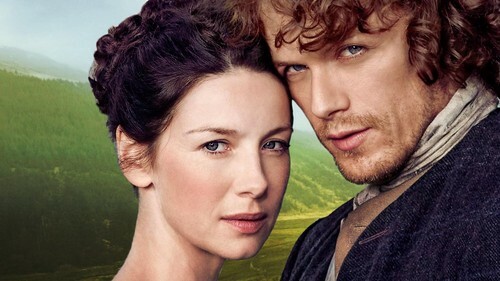 Claire and Jamie. . HD Wallpaper and background images in the 《外乡人》2014电视连续剧 club tagged: photo claire jamie. This 《外乡人》2014电视连续剧 wallpaper contains 肖像, 爆头, 特写镜头, 特写, and 爆头特写. There might also be 外衣, 上衣, and 户外休闲服罩衣.